I baked this cake for a friend’s farewell present quite some time ago. 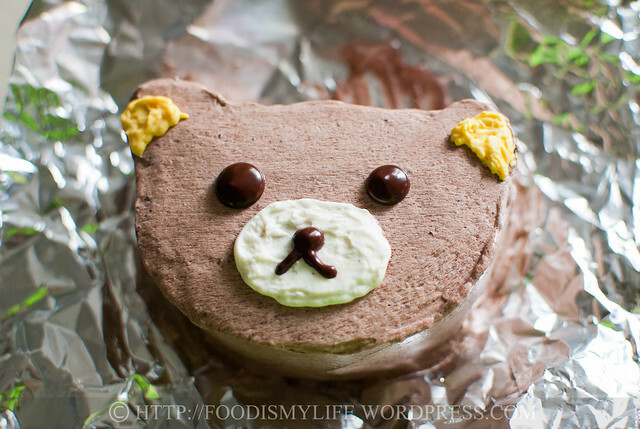 As she’s a fan of this bear called Rilakkuma, I decided to try my hand on baking and assemble a bear cake. I assembled only 2 bears – each cut out from a 4×4-inch genoise, then the genoise was split into half before assembly. As the original genoise makes an 8×8-inch cake and I was lazy to make 4 bears, I assembled the rest in the simplest way possible, then piped melted chocolate all over as decoration – it’s kinda amazing how a little piped chocolate can enhance the looks of the cake! And on to the step-by-step photos! 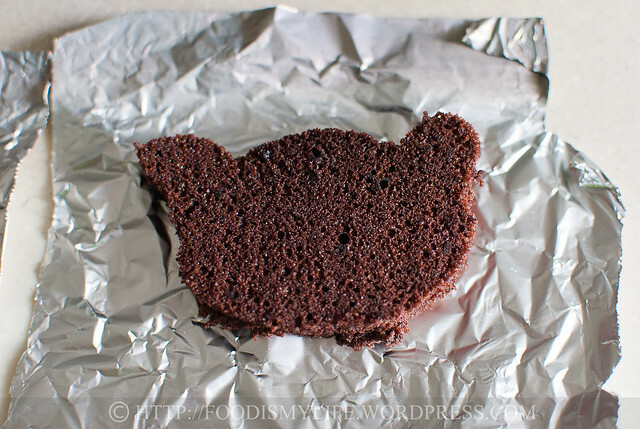 First bake your favourite cake in a 8×8-inch (mine is the genoise) and create a bear template. Let the cake cool completely and use the template to cut out four bears. Split them into half horizontally. Then make a batch of your favourite vanilla frosting (enough to fill and frost an 8-inch cake). 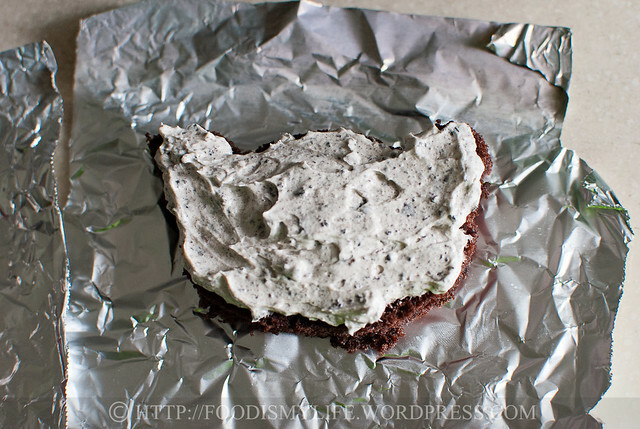 Scoop a third of the frosting aside and mix it with a few pieces of crushed Oreos. Scoop a tablespoon of frosting and colour it yellow. Transfer into a piping bag. Scoop two tablespoons of frosting into a piping bag. 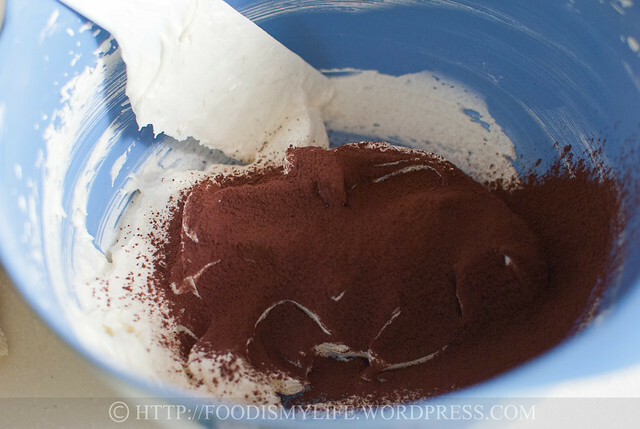 Add in some cocoa powder to the remaining frosting to turn it into a chocolate frosting. 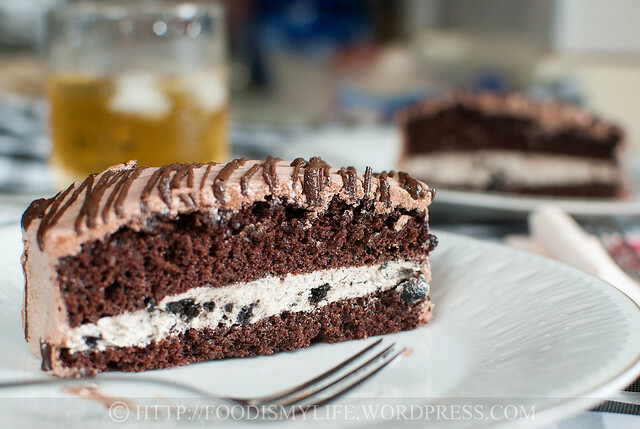 Then spread some Oreo frosting on top. Top with the top layer of the cake. Spread the chocolate frosting all over the cake. Refrigerate until firm then pipe the ears and nose and refrigerate till firm again. Pipe some cooled chocolate for its eye, nose and mouth! Create a bear template on a piece of 4x4-inch paper. 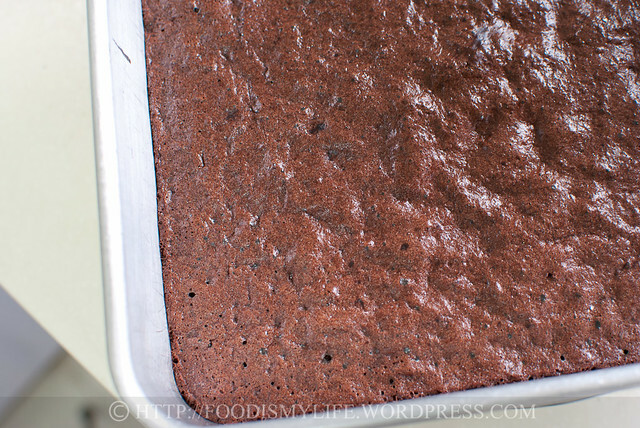 Cut the chocolate cake into 4 equal squares measuring 4x4-inch squares. Place the bear template on top and cut out the bears. Split the bears half horizontally. 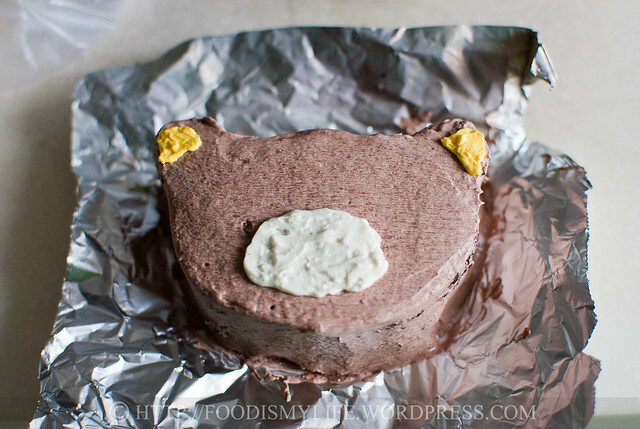 Place the bottom layer of one bear cake on a rack or a turn table. 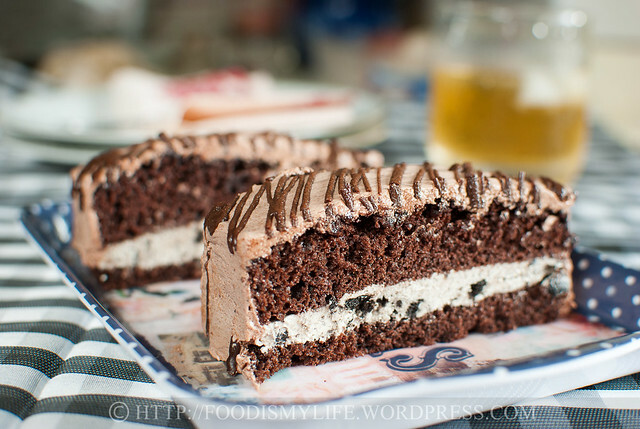 Spread a little Oreo frosting then top with the top layer of the cake. 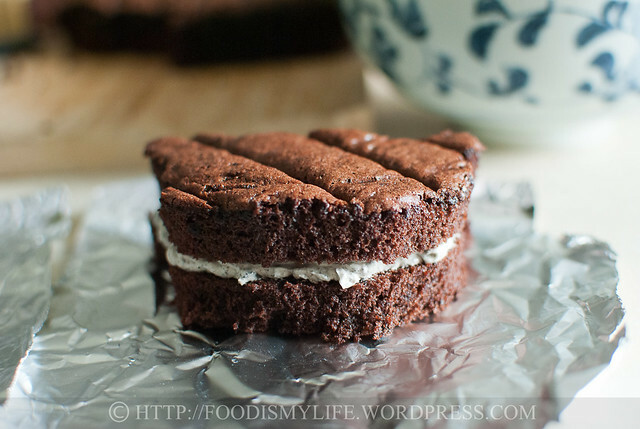 Use the chocolate frosting and apply a thin layer of crumb coating all over the cake. Refrigerate till firm, about 30 minutes to 1 hour. Coat the cake with a thicker layer of chocolate frosting, smoothing the surface and the sides as best as possible and refrigerate till firm. Pipe a little yellow frosting as the ears - use a toothpick to help spread the frosting evenly. Pipe the reserved plain vanilla frosting in the middle. Refrigerate till firm. Pipe the eyes, nose and mouth using the cooled melted chocolate and refrigerate till firm. Transfer the cake onto a serving plate and serve! 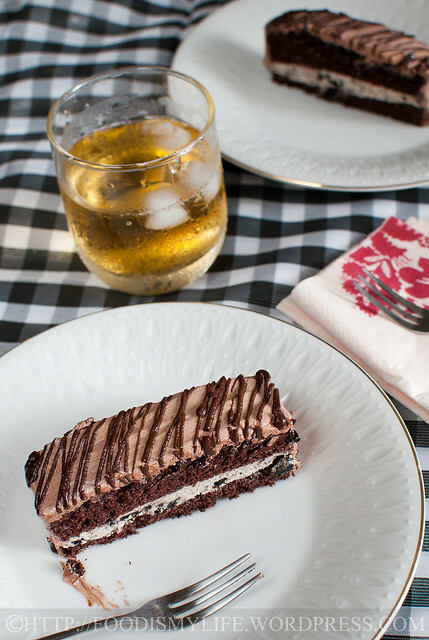 Use your favourite chocolate cake recipe and bake it in a 8×8-inch tin. I chose a genoise as it’s light and delicious! Here’s the link to the step-by-step guide in making a genoise. 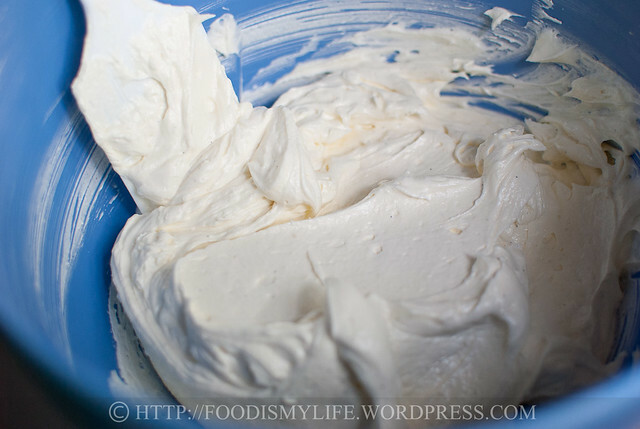 Use any of your favourite plain, vanilla frosting – buttercream and cream cheese frosting works best. The frosting recipe I used is my Cooked Vanilla Flour Frosting – I added 1/4 cup of cocoa powder to make it a chocolate frosting. The chocolate should be cool before piping them onto the cake so that it will not melt the frosting. well done and i dont even think the frosting didnt look smooth as you said.. Thanks for the compliment Janine! The frosting is surprisingly successful! Hope you’ll like it too! Thanks for the compliment Amelia, have a great week ahead! It was a cake cute to look at and delicious to eat! 😉 Thanks for the compliment Bobbi! Thank you Zoe, for the compliments! how can you eat them if they’re that cute?! i was thinking of making a chocolate cooked flour frosting but afraid that it wouldnt taste/look good but now that you’ve done it, i’m definitely trying it out hehe. 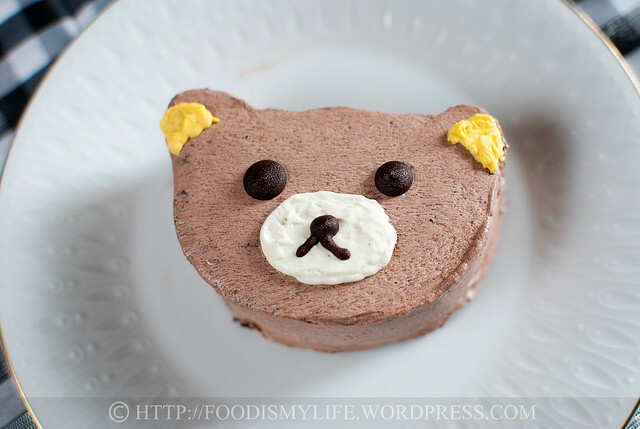 the cake does look somewhat like rilakkuma so it’s a job well done i must say! Hi, your cake look so cute, the texture look very moist. Love the topping, yum. Unreal! Those mini cakes are so spot-on accurate, and of course adorable. That takes some real finesse with an offset spatula and piping bag. Awww so cute and adorable! Your genoise also looks perfect. Lovely treat for your friend! This is so cute, and so moist and delicious! Your friend is so lucky! 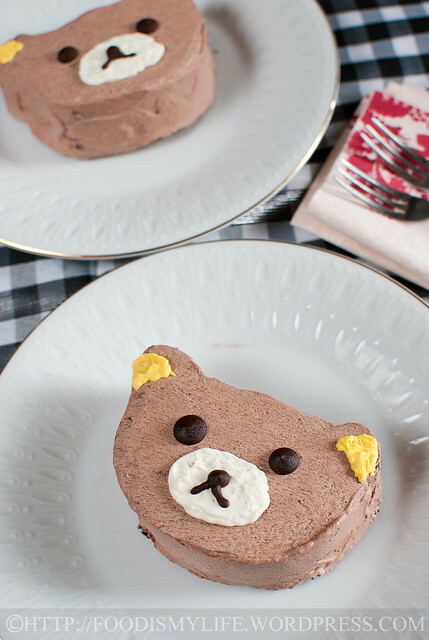 You are so sweet baking these Rilakkuma mini cakes for your friend. And of course, you did an excellent job! Truly cute and incredibly gorgeous! I know a few little ones who’d love to get their mitts on these 🙂 I’ll be baking for my niece & nephew over Xmas so love anything cute & tasty! These are such a clever idea! I must admit, though, I do not have the patience to make them. Your idea of creating a mini-cake with the piped frosting is more my speed. Adorable!! Really clever and lovely…. How adorable and the cake looks outstanding! And that beautiful vanilla icing, is perfection! These are simply adorable… and the cake looks so moist!